What's best for a virtual desktop infrastructure? 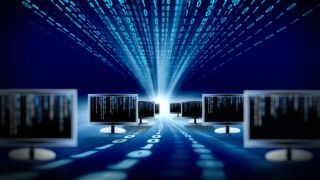 Many IT managers are now exploiting a virtual desktop infrastructure (VDI), in which everything on a desktop computer is moved to a host server. But they often grapple with unpredictable workloads and find it difficult guess the storage requirements for the near and long term. It makes the deployment and management of the connected storage a critical issue in running a VDI, which by its nature requires a highly robust and flexible storage medium with low latency and fast input/output (I/O) access. "VDI adoption is changing the way storage systems are architected and managed," Says Brian Feller, VP, EMEA of data storage company Whiptail. "In a big company, fulfilling the data requests of hundreds or thousands of virtual desktops places extreme stress on the storage system. The storage platform has to be able to meet I/O demand and at a reasonable cost. "For example, when the functionality supported by the local hard drive is moved in a VDI, those input/output operations that would otherwise have been resolved locally now must come from a server and its storage that is accessed over a network." Solid state disk (SSD) storage is becoming highly popular with VDI deployments. Prices have come down and it has low latency and good I/O access. But it is often combined with hard disk drives (HDD) in a tiering system, often used with implementations such as Dell's Compellent storage arrays. "Generally, the main consideration for organisations to keep in mind is the desired outcomes from a user point of view," commented Robin Kuepers Marketing Manager, Dell Storage EMEA. "This means that low latency is a massive priority. When considering the final user experience, IT teams need to ensure that they can provide and maintain the consistent look and feel of an offline desktop." Brian Feller also emphasises the speed of serving data. "VDI storage obviously requires enough capacity for application and user data, but the end-user experience is ultimately determined by how rapidly the data is served," he says. "To better deal with random write I/O, it's important that the underlying storage system is optimised for these small 4KB and 8KB block sizes, which (again) pose a significant challenge for traditional HDDs. "The flash is essentially used as a write-cache in this scenario. Using intelligently managed flash as your primary means of deploying VDI project storage allows the data centre to support more users, utilise less power and realise a cost-efficient platform." The storage specified for any given deployment of VDI will have to take into account the number of users and the nature of their activity. Most organisations will have to cater for low, medium and high user workloads, which means looking closely at the read/write ratio and the peaks in traffic, such as first thing in the morning when employees sign onto the system. Also, planning operating system updates and virus scanning at low usage times will minimise the impact these have on the system's overall performance. As choosing the right storage platform for your VDI deployment is so important, a 'try before you buy' exercise should be performed if at all possible, as Brent Lees, Senior Product Marketing Manager, Riverbed Technology advises. "If possible, it would be useful to try a proof on concept process or a trial on 'typical' parts of your business in an attempt to make all 'estimates' as real as possible," he says. "In any case, running some sort of pilot and examining the result is critical to a successful outcome. "I'd also recommend that IT managers look at the experiences of other parts of the organisation, as well as suppliers with similar businesses and take these into consideration. As with all of these types of implementations, post provision agility can be key to the success. The ability to upscale in particular or downscale depending on performance can be critical." Clearly the key issue that IT managers are facing is that one size doesn't fit all. There is no off-the-shelf solution, which means managers will have to take a bespoke approach to their storage deployments over VDI. And it is vital that a level of expandability is built into VDI storage. Dell's Robin Kuepers concludes: "Density is key for the future of VDI storage, to help reduce the initial cost, data centre footprint and ensure great end user experience, speeding up the ROI of VDI storage. "These savings can be made as VDIs can make more efficient use of a centralised pool of storage than if local machines were running off their own hard drives. "For example, a local machine may only use a small percentage of its HDD capacity and the rest would be sat idle. With a single pool of storage, this capacity can be allocated as and when it is required by different users of the infrastructure." It's crucial to get the allocated storage right in any VDI installation if you want to obtain the possible efficiency savings. The signs are that the hybrid approach, using HDDs and SSDs, will provide the necessary flexibility and become the norm as IT managers balance their storage platforms.